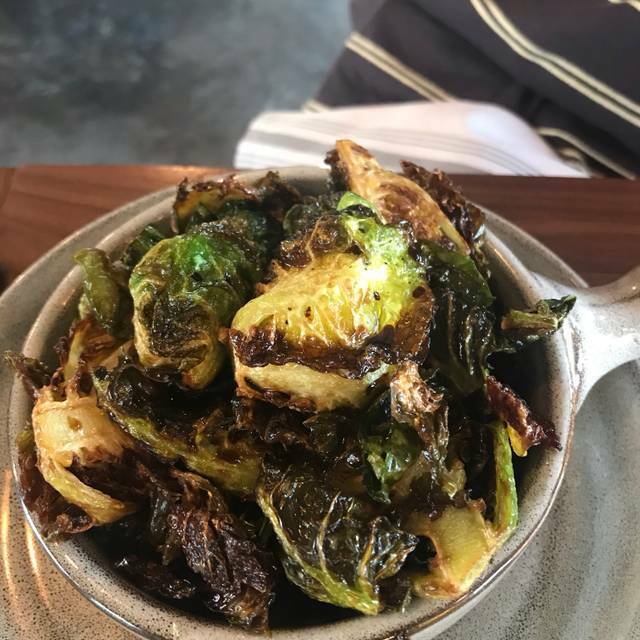 800° Woodfired Kitchen is Anthony Carron’s chef-inspired and innovative take on the art of cooking with wood fire. Our entire menu is woodfired to perfection, infusing each item with just the right amount of smokiness. We start with the highest-quality ingredients, scratch dough, fresh produce and artisan-quality meats and cheeses, and we create an offering as authentic and delicious as it is remarkably diverse. The result is craveable and irresistibly delicious craft pizza, rotisserie meats, salads, bowls, veggies and more. Taste the magic of woodfired! Wood-fired portabellas, roasted beets, nut milk "cream cheese"
Ate outside which was much quieter than indoors, since one in our party of 4 had a hearing issue. Weather was perfect, the service was spot on and we enjoyed the appetizers, pizza and mains. Will return. Enjoyed the experience. Great service, food and ambiance. Always consistent. It’s become a great neighborhood spot! Had a great time when I visited 800 degrees. The food was on point and it came out fast. Service didn't miss a beat when we needed anything. Even left with my very own 800 degree dad cap! UD and DWade forever! We came to Miami to see Dwyane Wade play his last home game and decided to make reservations at 800 degrees for dinner. We had a great time, the staff was awesome and the D Wade burger was outstanding! My friends tried some of the other items and everyone was pleased with their meal. The only downfall was when we found out the bread pudding wasn’t available. Our waitress said they had made a batch but it didn’t turn out like it usually does so they did not want to serve it. Guess we’ll just have to come back to Miami and try 800 degrees again! Maybe when they retire Wade’s jersey? Customer service excellent food was nothing special just severely overpriced. I spent $100 2 people if I had gone to longhorn would have been $40 bucks same order. Second time here. First visit the food was good. This time not as successful. Started with the heirloom tomato salad, which we had the first time there and liked. Couldn't tell if these were actually heirloom tomatoes this second time and not quite as good. Wife had the salmon which she liked. I had the rotisserie chicken, which was a disappointment. I love rotisserie chicken, but this was totally dried out. Even the dark meat was dry. You can get a terrific whole rotisserie chicken at the local publix for 6 bucks that would put this version to shame. Service here has been very good both times. The entire staff was friendly, knowledgeable, service oriented. Hats off to whomever hires and trains them. Excellent service. Tasty food. Pizza crust was well prepared. Management checked on us many times and were very hospitable. 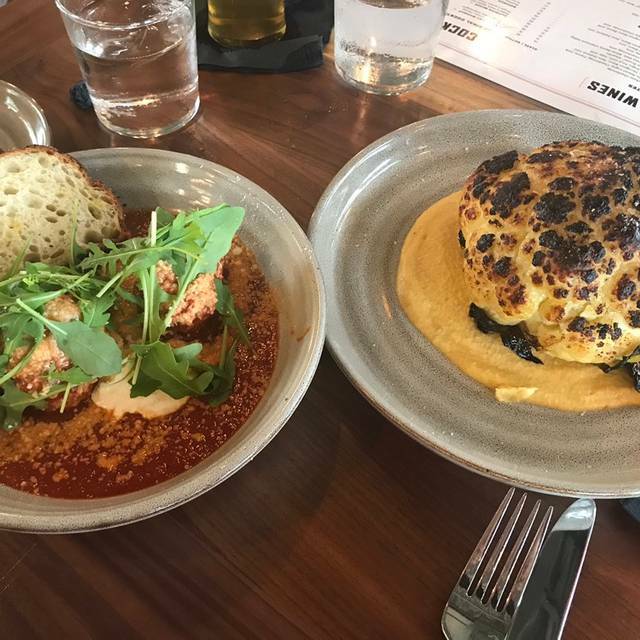 This was the second time we ate at 800 Degrees Woodfire Kitchen. As before, we were seared promptly. Our server introduced himself and took our order. Water was promptly brought to the table. The frozen drinks we ordered were brought to the table and were pure liquid with a bit of ice on the surface. We were told the machine was broken and asked if we still wanted the unfrozen drinks. After our food was brought to the table, we never saw the server again. We kept pulling aside another server or busboy to bring us what was needed. We finally flagged down our server and asked for coffee. He never attempted to show us a dessert menu or ask if we wanted dessert. After sitting for another half hour after coffee, we found someone to get our server so we could get our check. Of course, the frozen drinks we turned down were charged on our check. The charge was removed, we paid and we left. We enjoyed our food and would probably give 800 Degrees another try. Maybe it was just an off night and they were understaffed. Good food, great pizza and very tasty wings, but very small. Perfect, nice and tastefully ! We were expecting a fancy establishment since it's a Wade & Haslem partnership but were actually pleasantly surprised with laid-back atmosphere. The restaurant is right outside of Aventura Mall in the Publix parking lot, overlooking Mall entrance, CVS and other retail stores. We tried their artichoke, lamb, Wade Hamburger and Pizza, of course. 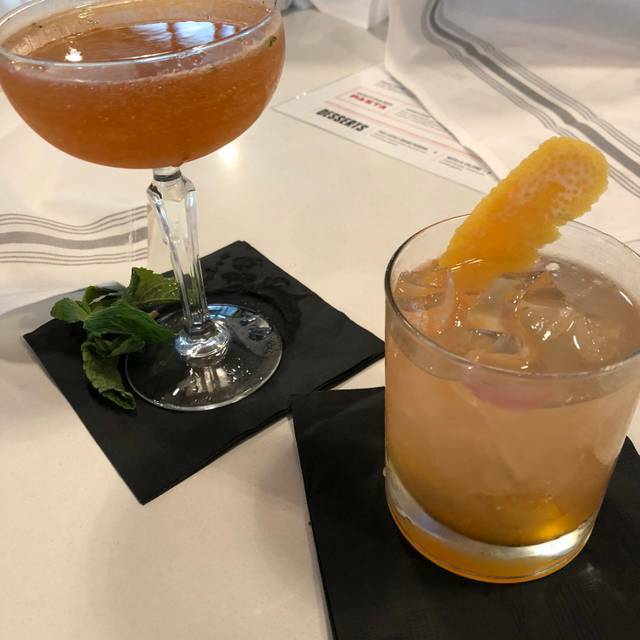 Everything was good, including service and drinks. The only thing lacking was ambiance, but maybe we had high expectations. Will definitely go back. We ate on the patio which was really comfortable and nice, not noisy at all. We all loved the pizza's and were happy to see Fireman Derek's pies on the menu, ordered them to go because we were too full! The pizza's were all great, large enough for leftovers and we all loved them. 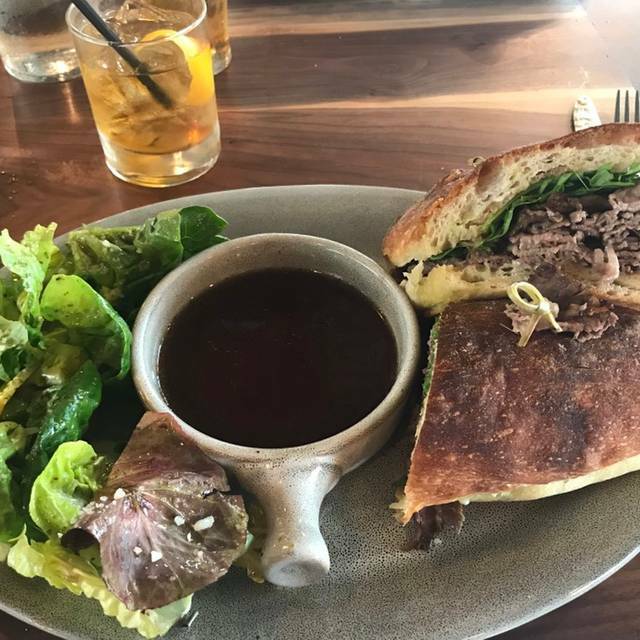 The only thing that wasn't great was the French Dip - too much bread, overall pretty dry. Service wasn't great - waited a long time for the server to come around, especially at the end. Everyone was really nice, there was good energy and overall it was a great place. The food and service was outstanding. We had the roasted cauliflower appetizer with the the burrata as appetizers. We had the prime rib sandwich. We also had the "pre-game warm up" cocktails. All of the food and drinks are consistently good as i have been there multiple of times. The server Stephanie was fantastic. The manager, John Garcia, checked to see if I could order the prime rib sandwich even though we were there in the evening and it is only on the lunch and happy hour menus. Ordered a quinua and salmon. Salmon was delicious, however when I was eating salad I spit out a piece of thin metal about a half inch long. It resembled a a body piercing piece. The manager and chef came over and were very apologetic and they comped our table's dinner. Since I couldn't eat my salad they offered me anything I wanted and I had artichoke heart which was very good. 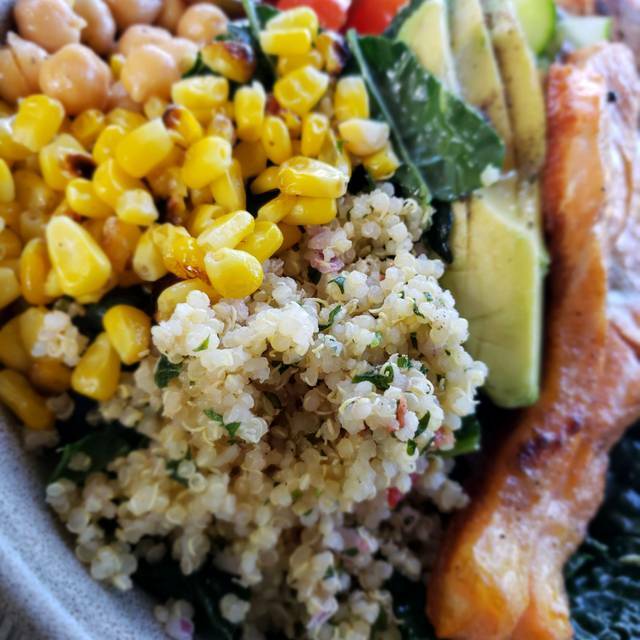 Love the grains and greens salad! Sat outside which was very nice. THE RESTAURANT IS VERY NOISY AND THE SALMON WAS BLAND , THE PIZZA WAS OK AT BEST.THE WINE LIST IS LIMITED BUT HAS SOME VERY GOOD VALUES. OVERAL THIS IS A BELOW AVERAGE RESTAURANT. I would only recommend this restaurant for Happy Hour as it seems like it would be a cool spot to hang out and watch games with friends, but personally I think the food was overpriced and mediocre at best. I really wanted to like this place because I support #wadecounty, but it was not my favorite. Our server was also not great, if he came to our table twice that is not an exaggeration - and the restaurant wasn't even packed! There was maybe like 3 other couples there. It was ok, there's plenty of other better restaurants in Aventura to check out. Nice new place with open kitchen and wood burning oven. Friendly staff. Mediocre food nowhere near matching the prices charged. Food was good but the service was ridiculously bad. I could waste time explaining but I'll just say that I had to walk to the bar several times for water, a check, condiments, all while eight or ten staff either chatted at the bar or hung out on the patio smoking and BS'ing. I'd suggest they hire one adult manager because no one seems to feel responsible or accountable. Great service from Manager to hostess to serving staff, everyone accommodating. We will be back. Pizzas and salads just ok. Location in the Publix parking lot looking at cvs. Skip the dessert. Great service and great food. The waitress was very responsive and gave us very fast service. Server Bell was awesome. Great personality and very helpful. Some of the menu items are overpriced for what you get. A salad with no meat, should not cost $15. Great location as well. Modern restaurant with good food, good service. Requested/Reserved outside seating but 3 4Tops were reserved. We were seated at table by door (or table adjacent to parking lot) were only options. Few mins later random guests were seated at those Reserved Tables, instead of offering them to us first. Even though we had a reservation, we had to wait for a table. Luckily, not for too long. Set up like a sports bar, crowded and noisy. Very good service. Food was very good. Careful what you order. It can get pricey.